Our Mission is to preserve and teach Authentic Pilates with current and future generations of Pilates Professionals. Our Goal at the Authentic Pilates Education International is to train excellent instructors. Our teacher trainers are all recognised 2nd generation Pilates Instructors. Training Lineage by Generation; Joseph and Clara Pilates. When choosing a Pilates training program, high quality Pilates training is key to a successful and fulfilling career as a Pilates Teacher. Pilates instructors require knowledge, skill and confidence to provide effective private Pilates training and group sessions. 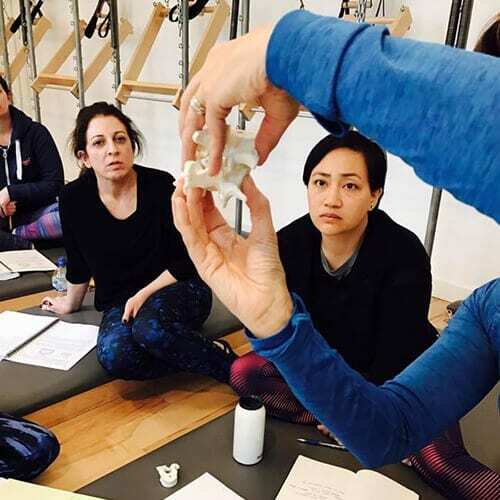 Our solid teacher training program will provide you with the foundation in understanding the Classical Pilates Method, the underlying principles, equipment and how it all works as an “Integrated System”. 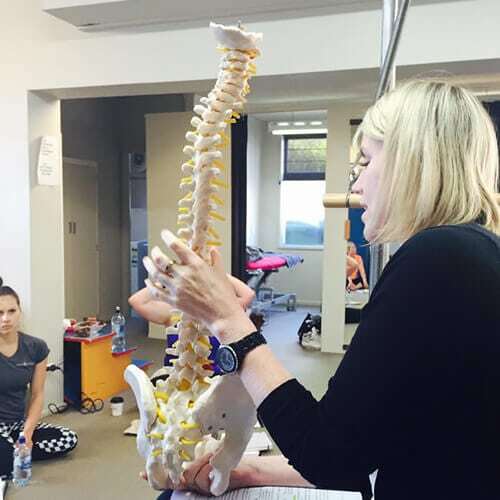 The Authentic Pilates Education International teacher training program is a comprehensive course delivered face to face emphasising hands-on instruction. The Comprehensive course provides full mat and Pilates apparatus certification over 600 hours. Classical Pilates trained instructors are sought after at studios and fitness facilities worldwide. We will help you reach your full potential! Remember, you will not be a good, effective Pilates instructor with excellent teaching skills after only a few weekends of training. It takes time and focus. “Patience and persistence are vital qualities in the ultimate successful accomplishment of any worthwhile endeavour”. The Teacher Training course at APEI is like no other I’ve seen in the Pilates and fitness industry in all aspects of being high quality with hands-on practice and training, and having exclusive apprentice seminars held by some of the best Teacher Trainers around. I am now proud to say as a certified APEI Instructor myself how clear it is that there is a gap in authenticity and quality amongst many other Pilates teacher courses, and APEI certainly ensures the quality of teaching remains solid. After five years participating in Pilates classes, I decided to investigate becoming a teacher. 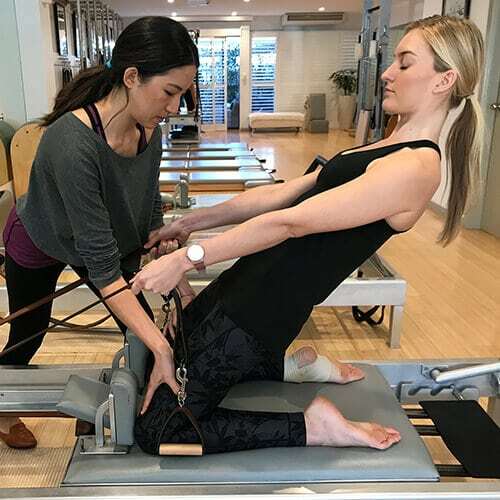 As my aim was to learn the classical method originally taught by Joseph Pilates, I did my research and came across Authentic Pilates Education International (APEI) which offered the perfect solution, delivering a comprehensive well delivered course that has simultaneously strengthened my body, challenged my mind, and deepened my understanding of Pilates. APEI’s founder and principal trainer, Olga Tamara, has structured the course to bring out the absolute best in its students. Olga is not only vastly knowledgable, but also generous with her time and insights and I feel privileged to be learning from such a dedicated and experienced trainer. I loved my study period with APEI. The face to face deliveries and workbooks were comprehensive and the training very hands on. It was the fittest I’ve ever been! I especially appreciated APEI bringing out international guest teachers delivering amazing workshops. I loved hearing about their personal journey into Pilates, their lineage to Joseph Pilates and their training with Romana. The APEI course has provided me with a real hands on training experience, insightful observation and a definite sense of community and comradely amongst the students and teachers. The course lays strong foundations from the get-go and continues to deepen your understanding and practice of the method immediately. I also find the feedback, studio access and practice teaching opportunities invaluable. I’ve always found the APEI learning environment supportive and motivating. You get insight into the wider pilates industry and the opportunity to work with some real pioneers of the pilates method both locally and internationally and not to mention make some life long friends along the way! I started my first comprehensive teacher training in 2002. We didn’t have a lot of options in Australia back then but I stumbled into a fantastic course. Along the way I have been certified in other forms of Pilates, Gyrotonic, Gyrokinesis, and even slugged out an Exercise and Sports Science degree. The significance of doing the APEI teacher training course is really setting in. While I’m preparing for my final exam with Authentic Pilates Education I am reflecting on a monumental time in my life which has been transformative in every regard. I started this course at a time in my life where I was deeply unhappy, had lost my confidence and really wasn’t sure what to do. During my time with APEI I have made some life-long friends who have opened their hearts, arms and homes to me when I needed it most. My colleagues continue to shape all aspects of my life and I count myself lucky to be in their company.